Recent info from China Daily about the possibility of 1000kph super fast train to exists in China. The study conducted on Southwest Jiaotong University that claims they are developing the 500 to 600kph trains and foresee the possibility to extend the speed up to 1000kph in near future. Unofficial info said the smaller and less steel train models will be ready in 10 years time for an estimated 10 to 20 million yuan budget. 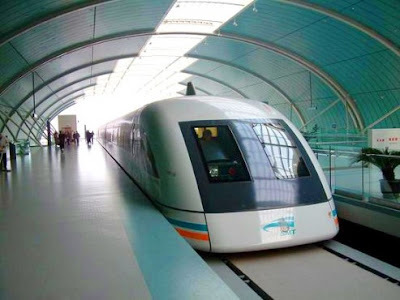 A speed of 1000 kilometers per hours will bring you from Beijing to Shanghai within 1 hours 4 minutes! Exciting?